My attempt at the Mad Hatter's Costume. 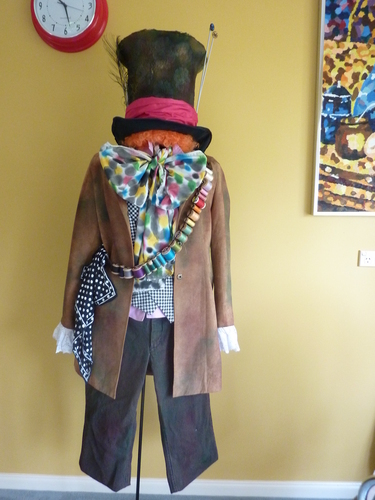 My attempt at the Mad Hatter's costume which I wore to see the film. And as I only had 3 days to get everything ready, I didn't get to do the gold trim around the cuffs and the price card, but all in all, I'm pretty happy with it! :). HD Wallpaper and background images in the Alice in Wonderland (2010) club tagged: alice in wonderland mad hatter costume diy homemade. THAT is awesome! Pretty damn good replication! Great job!